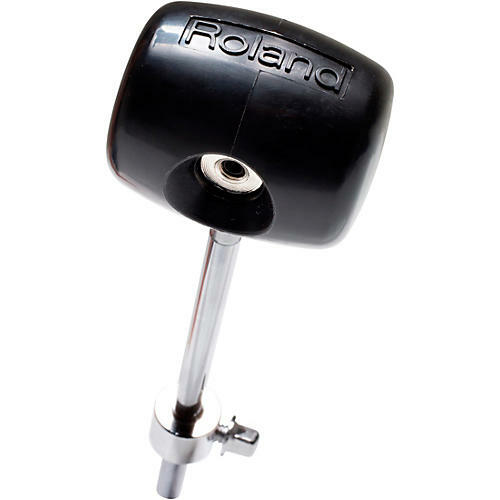 Designed for use with Roland kick trigger pads, the KBD-100 is a self-aligning kick drum beater that automatically adjusts to hit flush every time for accurate triggering and optimum response. The KBD-100 can be mounted on a traditional kick drum pedal, and features a round hard plastic beater with a flat striking surface. An adjustable rod weight allows you to customize the action and feel.